Ursuline’s commitment to maintaining diversity and recruiting exceptional students means increasing endowment for scholarships, both need and merit based, must remain a strategic priority. What is an endowed scholarship and how can it help? An endowed scholarship is one in which the principal remains intact and only the interest is awarded each year. Endowment creates a permanent funding source designed to support deserving students now, as well as in the future. Endowed scholarships are established with a single major gift or one pledged over a multi-year period. The minimum amount required to establish an endowed scholarship is $25,000. Once an endowed scholarship has been established, additional donations can be made, sometimes by friends and family members as well, to further grow the fund. How are endowed scholarships awarded? Most endowed scholarships are awarded to incoming or rising 9th graders during the admissions process. Upon acceptance, students are informed of available endowed scholarships and invited to apply. Criteria for consideration are provided and applicants are asked to address how they meet the criteria for a scholarship in a personal statement. The Scholarship Committee - composed of representatives from Administration, Admissions, Advancement and Finance - selects the recipients of endowed scholarships. All recipients of endowed scholarships gather twice a year for letter writing sessions in the school library led by the Advancement team. The thoughtful and heartfelt letters written by the students go a long way in assuring donors that they have invested wisely. Each June, we host a Benefactor Breakfast where students have the opportunity to spend a morning, including Mass, with their generous benefactors. Establishing a scholarship endowment can help provide the opportunity of an Ursuline education for qualified students who may need additional financial support in order to attend. Through these scholarships, donors also recognize and encourage interests and abilities that may have special meaning - such as service to others or potential in STEAM fields. In naming a scholarship, donors may choose to honor or memorialize alumnae, family members, admired administrators, or faculty. Should you have any questions regarding endowed or named scholarships, please contact Cathy Fay McCarthy ’84 at cathfmcc@ursulinenewrochelle.org or (914) 500-6284. To demonstrate their strong support for the mission of The Ursuline School and their personal commitment to fostering a welcoming and inclusive school community, Ursuline parents Donna and Richard Brown endowed a scholarship in 2018 in honor of their daughter Alexandria '20, a current junior. This partial scholarship will be awarded once every four years to an incoming or rising ninth grade African-American or Latina student who would thrive as a high school student at Ursuline. Criteria include financial need and a strong desire to attend Ursuline. During the 2019-20 inaugural school year for the scholarship, Alex will be a senior and will present the scholarship to the first recipient. The Alumnae Association Scholarship was established in 2004 by members of The Ursuline School Alumnae Association. This partial-tuition, four-year scholarship is awarded to an incoming or rising ninth-grade daughter of an alumna for academic achievement. Contributions to this scholarship are welcome at any time. 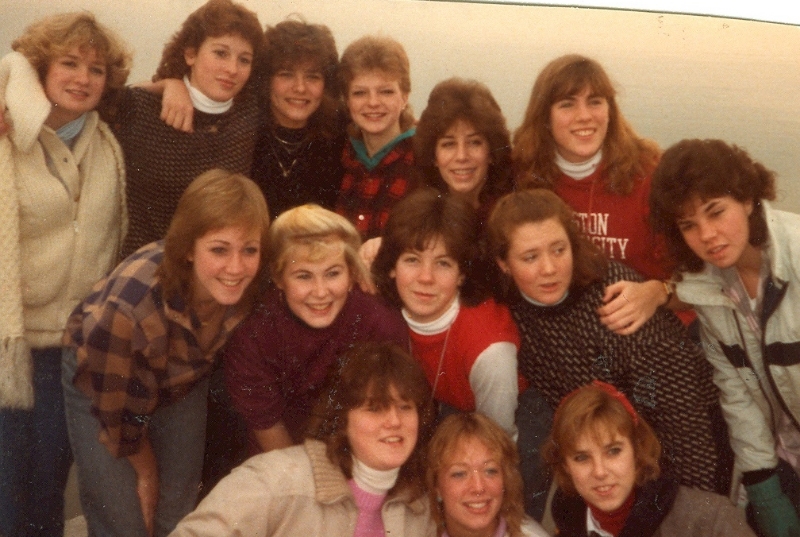 Reunion-year class gifts may be directed to the Alumnae Association Scholarship. 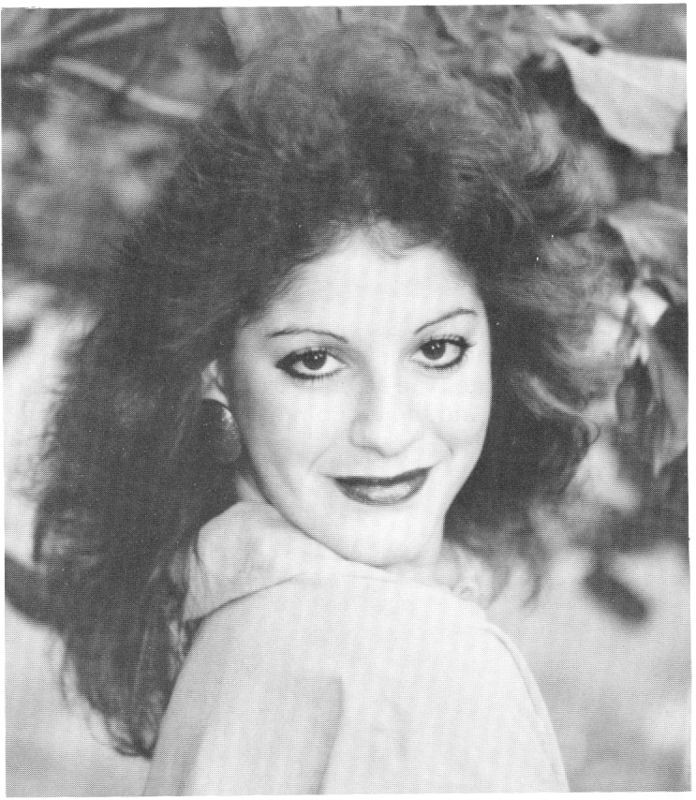 Andrea Aresi Kanovsky '83 was an amazing wife, mother, daughter, sister, aunt, niece, cousin and friend. 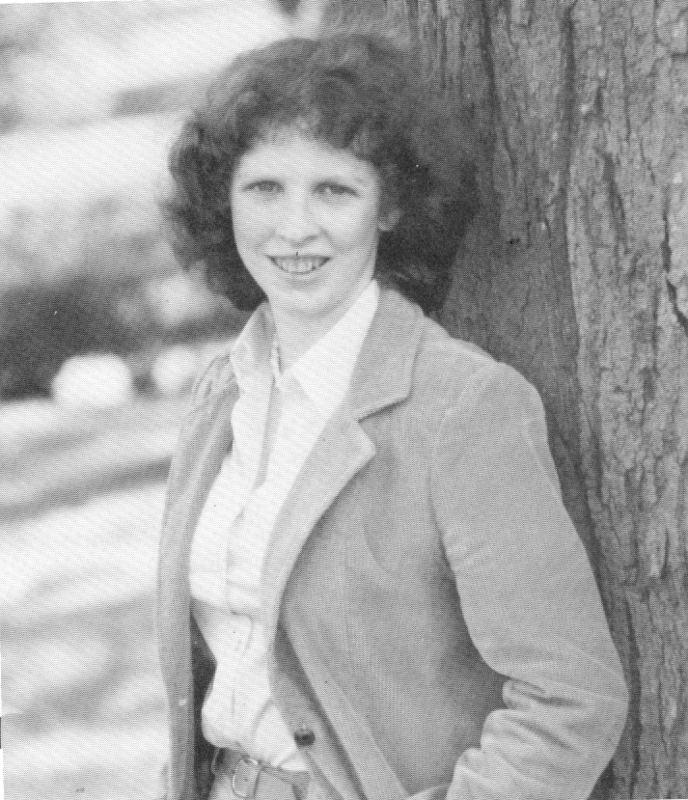 Shortly after Andrea passed away, her husband and her parents established the Andrea Aresi Kanovsky '83 Memorial Scholarship at Ursuline. For the last 10 years, contributions from family members and friends have gifted an Ursuline student with a $1,000 credit toward their junior or senior year tuition. In 2016, the scholarship fund reached an endowment level and was awarded for the first time as a four-year scholarship to an incoming ninth grader. Students are selected based on criteria that capture what was important to Andrea – consistently good grades and a variety of interests outside the classroom. 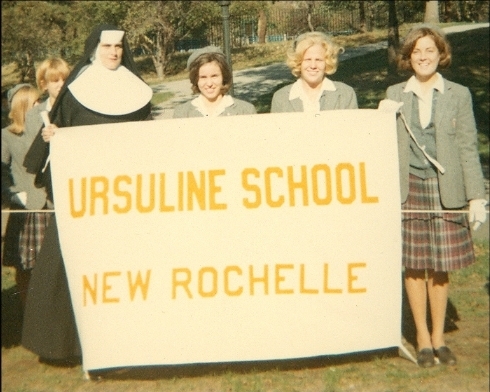 Reunion is a special time to remember so many memories of our time at Ursuline and is also an opportunity to reconnect with cherished friends and return to a place that many of us considered a second home. 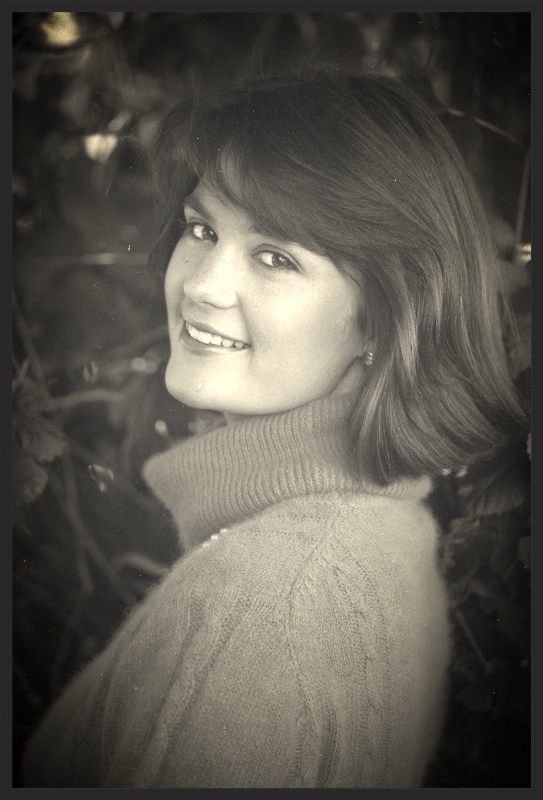 Along with many happy memories, we recall the loss of a bright classmate, Sheila Kelly, in Junior year. Out of shared pain, new friendships were made, and our class grew stronger and more united. Since then, we have lost three other beloved friends far too soon: Kim Mouracade Nesbit, Carolan Boyd, and Lori Ann Orsi Senbergs. 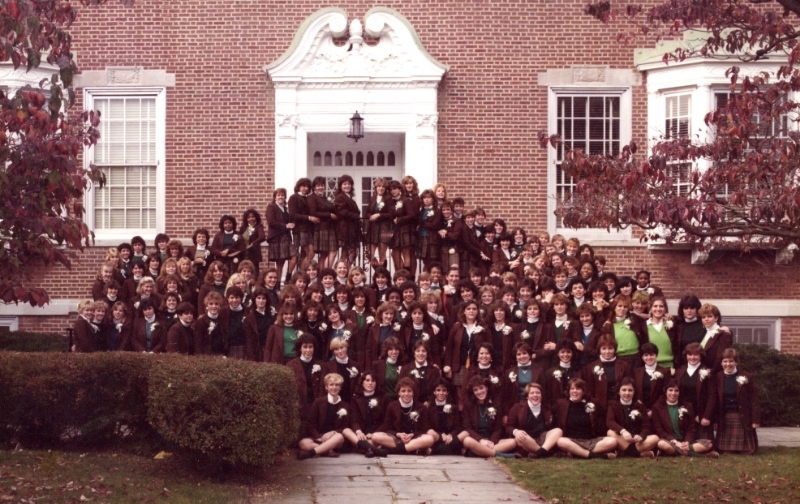 To mark the occasion of our 35th Ursuline Reunion in 2017, we established a new scholarship – The Class of 1982 Scholarship — so that other qualified young women may benefit from the Ursuline experience as we did. Through this scholarship, we hope that the lives of our Ursuline classmates will inspire the students selected to receive this scholarship. 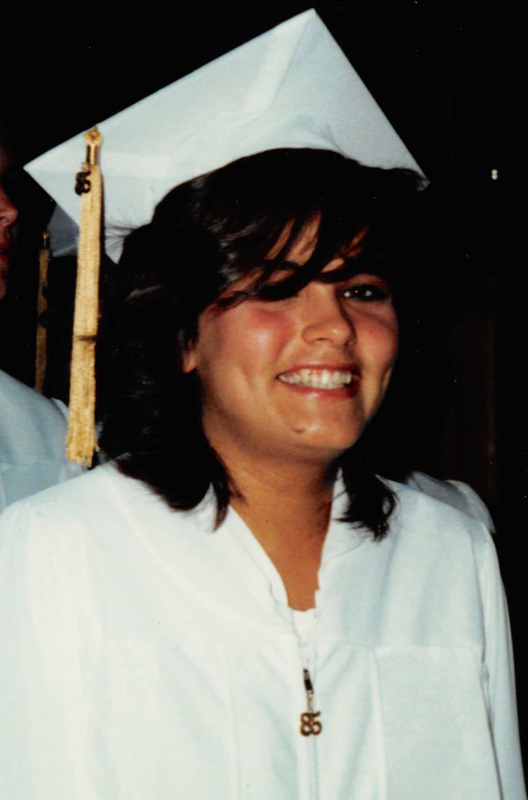 Challenges from our high school years helped shape us into the resilient women we became. We exhibited strength in the face of adversity and sorrow, and we persevered. The scholarship in honor of our class will be awarded to an incoming 9th grader who exhibits resilience, determination and spirit. Need will also be considered. Gifts of all sizes will help build the scholarship toward endowment. Donations to the scholarship are not limited to the class itself - all are invited to contribute to the success of this effort! 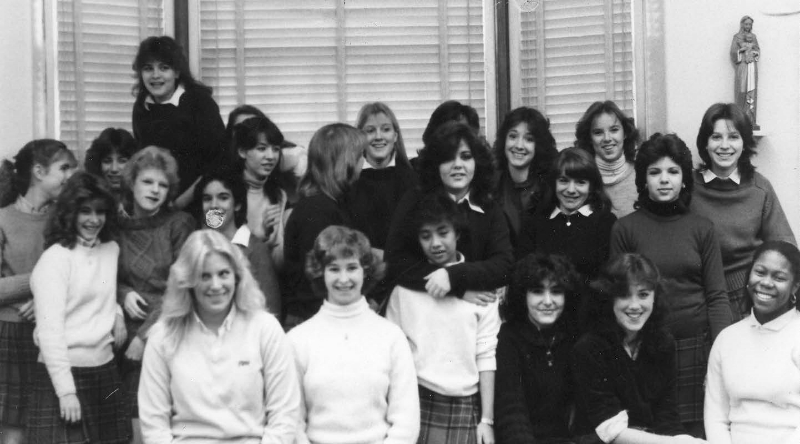 On the occasion of their 30th Reunion in June 2015, the Class of 1985 celebrates the friendships first formed at Ursuline many years ago and the women of strength, wisdom, and faith that they have become today. 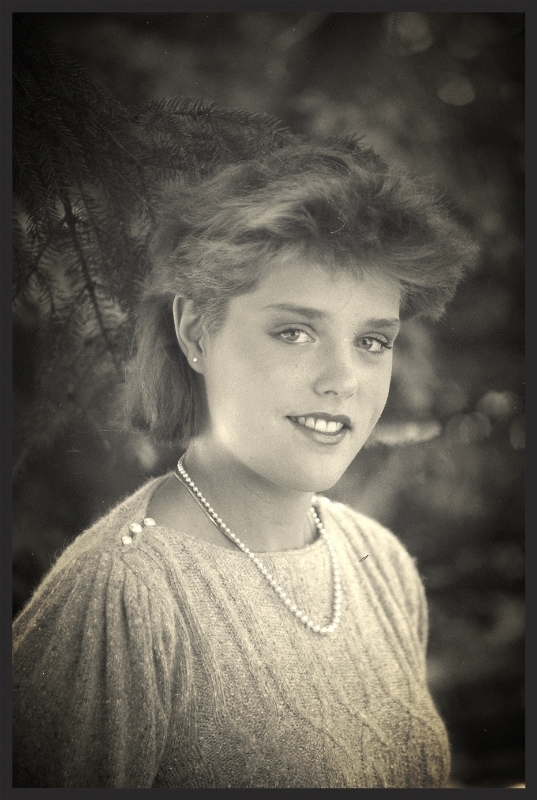 In celebrating the bonds of friendship, the Class of 1985 remembers the Ursuline friends who are gone too soon, and hopes that their lives will inspire the young women of Ursuline's future. Helen Crossin, for her fun-loving spirit and generosity. Margaret Gleason, for her courage and sense of humor. Deirdre McCorry, for her kindness and warmth. Joan Meschi, for encouraging us to dream. 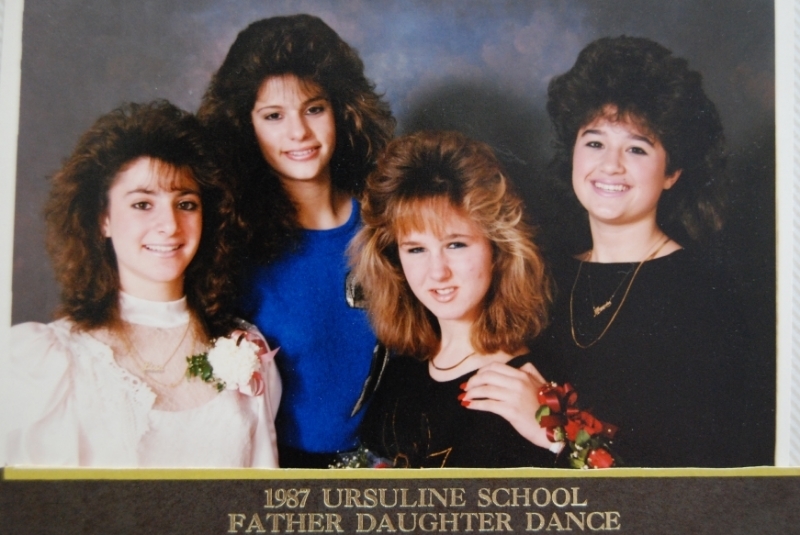 The Class of 1985 Forever United Scholarship honors the friendships made at Ursuline and creates new friendship opportunities for the young women of Ursuline's future. The scholarship is need-based and will be awarded for 4 years to a student who, through her involvement in school activities, will enhance the Ursuline community and be a friend to all. 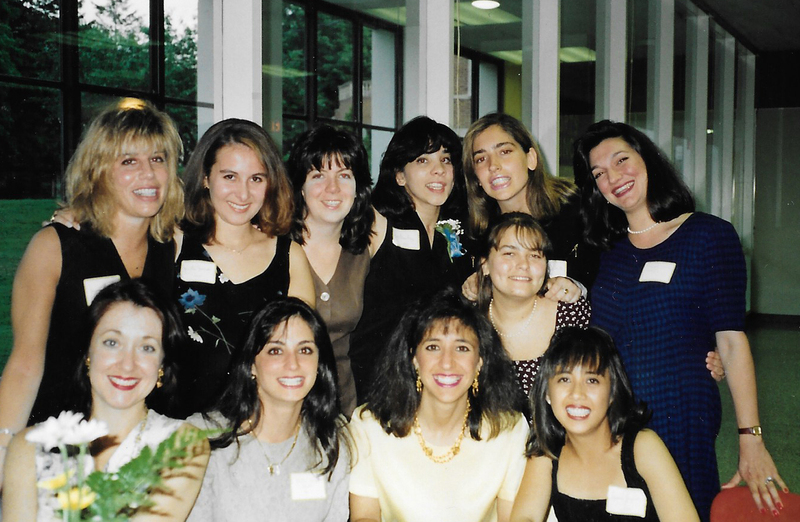 On the occasion of their 25th Reunion in June 2015, Class of 1990 wished to mark the event in a special way, recognizing how Ursuline has helped shape them into wise, caring, and faithful women. Together, they hope to encourage and nurture the tradition of Serviam in the young women who are the future of Ursuline. 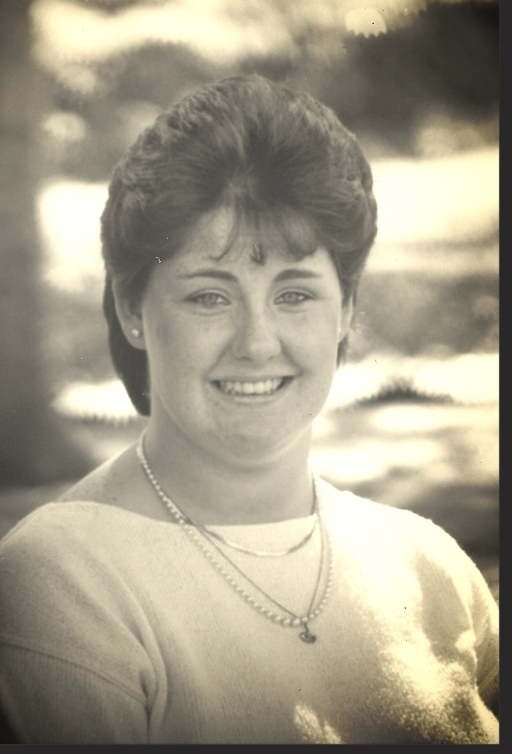 It is in friendship, gratitude, and remembrance that they established the Class of 1990 Serviam Scholarship in loving memory of their friend and classmate, Bernadette Bleichert Kenney. Bernadette’s many friends remember her for her big heart and infectious enthusiasm. She came to Ursuline as a 9th grader, so excited to make new friends and try new things. Bernadette was so much fun to be around, and so open and caring towards others that making those friends came easy to her. Illness limited the number of days Bernadette spent in the halls of Ursuline, but she had made such strong bonds in that brief time that she retained those strong ties to her classmates and her teachers. Her faith in God and concern for others, particularly little ones who shared rooms with her during her many hospital stays, were an inspiration. Bernadette coming through the ring on Ring Day with her festooned walker and bright smile is an indelible memory for all of her classmates. It is fitting that this scholarship for service be named for an Ursuline girl who lived in the spirit of Serviam. The scholarship will be based on a student’s character, outreach, and her creative ability to share her own interests and talents in service to others. 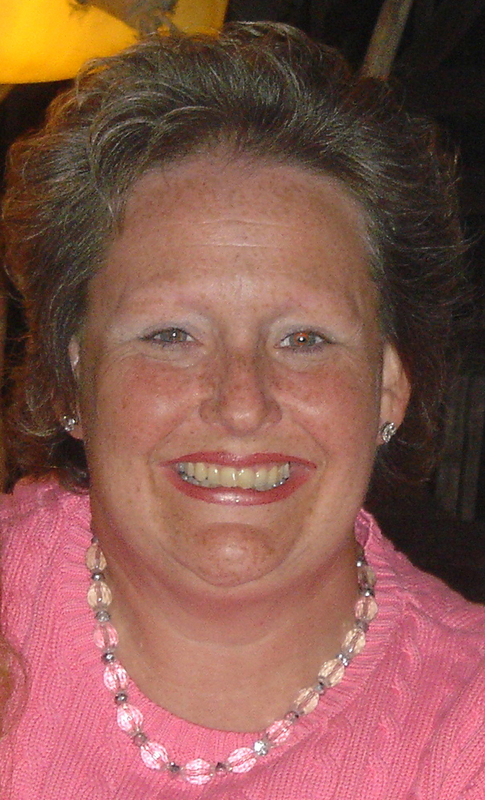 Christine MacMenamin was kind, bright and enthusiastic - and a beloved friend to many. To honor her memory and create opportunities for future students, a committee of alumnae, friends and family organized the first Christine MacMenamin Memorial Scholarship Reception in May 2013. With the 7th Annual Reception planned for April 2019, the event has become a much-anticipated celebration of Ursuline friendship. Since its inception, over $250,000 has been raised for the scholarship endowment. The Christine MacMenamin Memorial Scholarship is a partial-tuition, four-year scholarship awarded based on need to an incoming ninth grader who has a strong desire to attend Ursuline and who will contribute to the vibrancy of the school community. Ione Louise Dunkley Edwards was the first of three children born to Lockland and Matilda English Dunkley, who migrated to New York from Jamaica in the 1920s during the Depression. Ione graduated from George Washington High School in New York City. She earned her undergraduate and masters degrees from Hunter College and Doctorate from Columbia University. Ione spent her entire career with the New York City Board of Education, beginning as a science teacher. She served as an assistant principal, and retired in 1999 after many years as an elementary school principal. Ione met and married Theodore U. Edwards in August 1956 and had a daughter, Donna. The family moved to New Rochelle in 1966, where Ione resided until her death in 2012. Dr. Edwards was a member of the Council of Supervisors and Administrators and various other professional organizations. 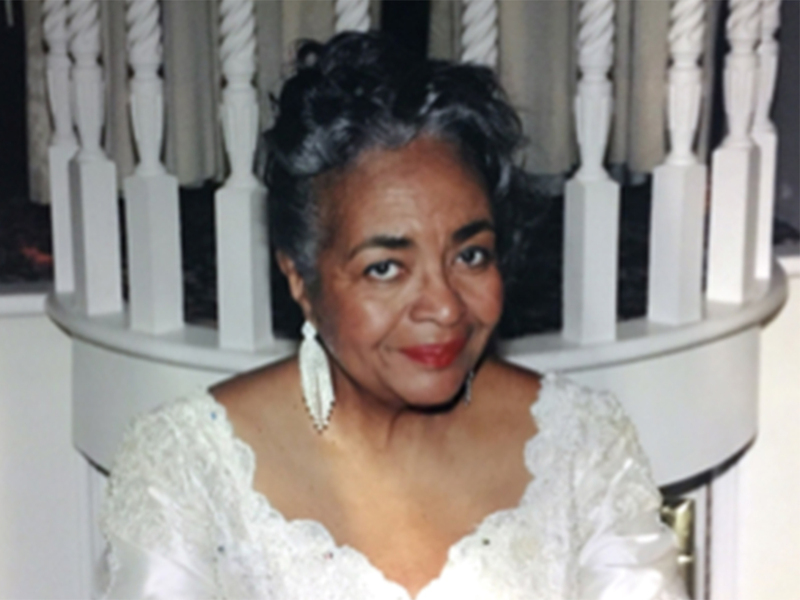 She was a 35-year member of the Alpha Kappa Alpha Sorority; a charter member of the Links Incorporated, Greater Hudson Valley Chapter; a long-term member of the Northeasterners; and a member of the Sophisticates for more than 30 years. Ione was a faithful member of St. Simon the Cyrenian Episcopal Church in New Rochelle, where she served as a member of the Vestry and many other committees. Donna Edwards '75 and her daughters Danielle O'Bannon and Dionne O'Bannon, in partnership with St. Simon the Cyrenian Church and The Ursuline School, established this scholarship award to honor Dr. Edwards' legacy as an educator, and to continue her efforts to promote academic excellence. Students selected as recipients receive individual and group tutoring to prepare for the SAT and ACT college entrance exams. Ursuline students of color who have completed sophomore year are recommended by the Administration, and selected through an application process. To read more about the IDE Scholars Program, please click here. 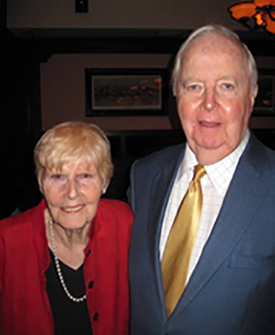 The Healy Family Scholarship was established to honor Frank and Patricia Healy, parents and grandparents of Ursuline alumnae Liz Healy '94 and Mary Ellen Healy '16, to recognize their commitment to the Ursuline motto of Serviam, "I will serve," and the expression of kindness toward others in one's everyday life. 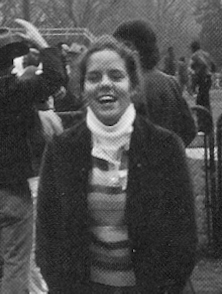 Helen Crossin-Kittle ’85 was the only Ursuline alumna lost in the September 11, 2001 attacks on the World Trade Center. 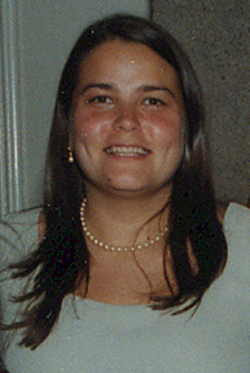 Helen was a computer specialist working for Cantor Fitzgerald – eSpeed in 1 World Trade Center and was expecting her first child. She was an original Ursuline "Woman of Tech" - known for her coding skills when programming first became a part of the school curriculum. 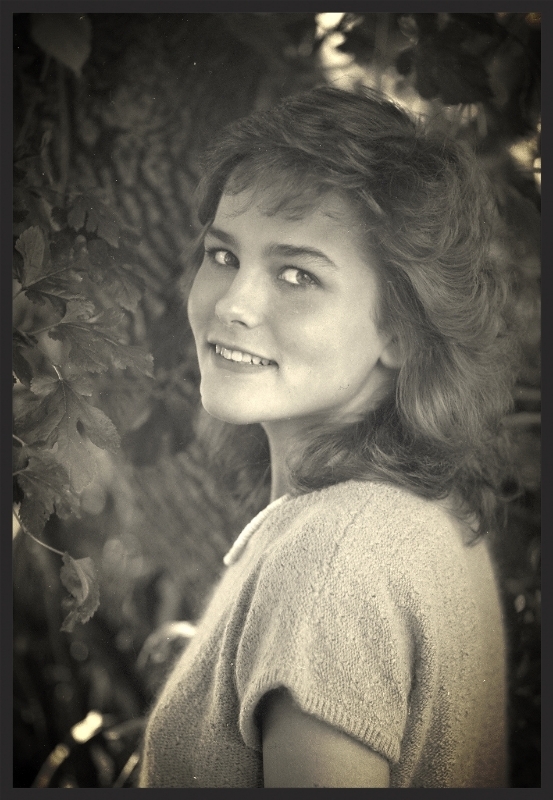 Helen is remembered as a true friend to all who knew her. 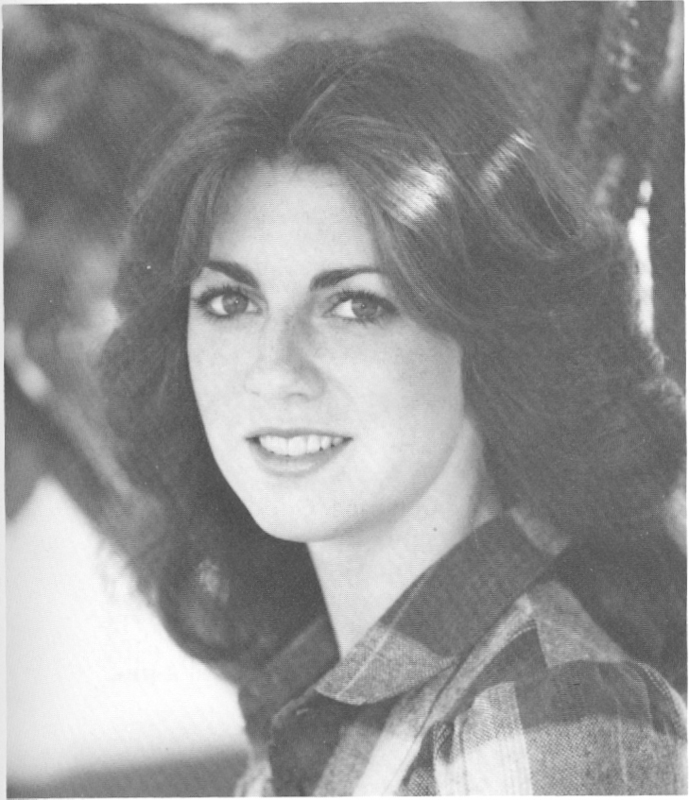 On the occasion of their 30th Reunion, the Class of 1985 established the Helen Crossin-Kittle '85 Memorial Scholarship to be awarded to the daughter or granddaughter of a first responder or veteran who also shares some of Helen’s special interests. It was awarded for the first time in 2016 to a student in the Class of 2020. In May 2016, the Class of 1985 Scholarship Committee organized a Day of Fitness to support the Helen Crossin-Kittle '85 Memorial Scholarship. Over $7,000 was raised through fitness class registrations, raffle ticket sales and donations for the scholarship endowment. Alumnae and participants gathered that evening at a reception at Bar Harbor Grill in Mamaroneck to celebrate the success of the day. The Think Pink Scholarship was established by the Ursuline Cheerleaders and the Breast Cancer Awareness Club to assist students whose families need support due to a parent or immediate family member living with cancer. This scholarship is given in loving memory of all Ursuline alumnae who have lost their lives to breast cancer. Read about some of these special women below. 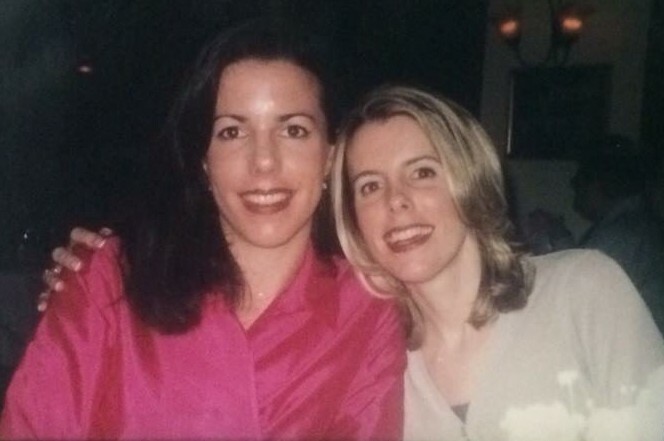 Samantha (pictured above, right, with her sister Stephanie '88) always believed in spreading joy and celebrating every moment, and every day she showed her daughter the importance of thinking of others. 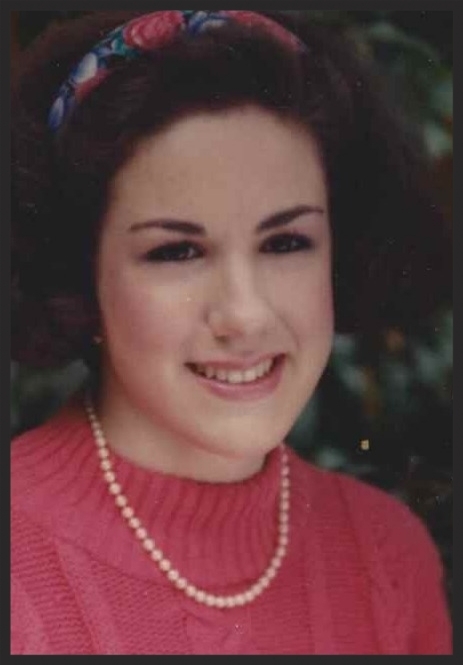 As the Class of 1988 celebrates their 30th Ursuline Reunion in 2018, they are supporting the Think Pink Scholarship in memory of their friend and classmate Samantha Smith Stohr '88. For their 30th Reunion in 2015, members of the the Class of 1985 supported the Think Pink scholarship in memory of Margaret Gleason Hamm '85. 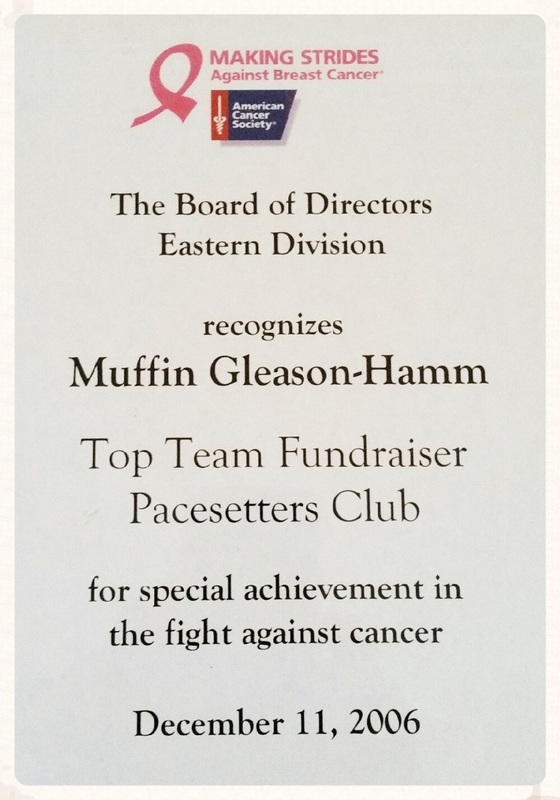 Margaret (Muffin) Gleason Hamm was truly an inspiration. During her own battle with breast cancer, she became a leading fundraiser for Making Strides Against Breast Cancer and an advocate for other women facing the disease. Friends and family became a part of "Muffin's Crew." She was known for her unwavering commitment to saving lives - even if it was just one. 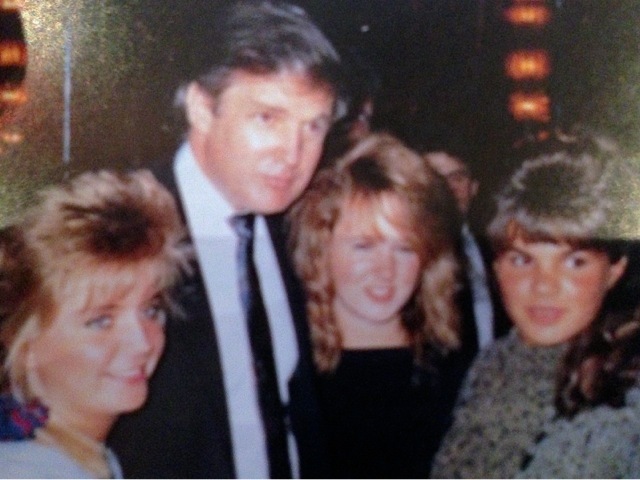 Cathlin Gleason Boncardo '91 with her sister, Muffin Gleason Hamm '85. With a private practice in sports medicine fitness training, Ann Toglia applied her expertise to her own recovery from surgery and treatment after a late stage breast cancer diagnosis. She developed the Staying Abreast program to raise awareness of the medical community to the importance of prescribed rehabilitative therapy for every person undergoing cancer surgery and treatments. Ann was committed to inspire those fighting cancer to engage in a moderate exercise schedule that would allow them to feel more a part of the fitness world and less like cancer patients - stronger in heart, soul, body and mind. The Ann Toglia '66 Memorial Scholarship was established by her parents, Rose and Ray Toglia, with generous support from the Class of 1966. On the occasion of their 50th Reunion in 2016, classmates remembered Ann with memorial gifts to the scholarship in her name. 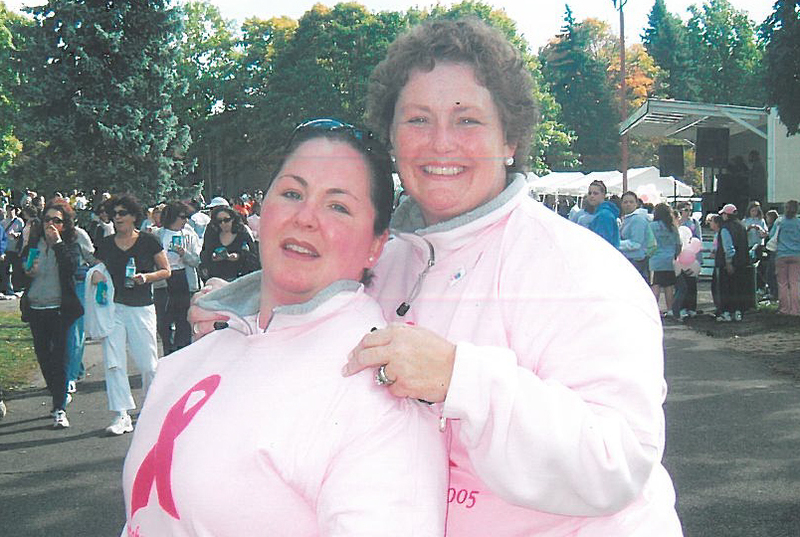 The Ann Toglia '66 Memorial Scholarship provides endowment support to the Think Pink Scholarship. Whether you knew her as Mother Thomas Regina, affectionately as TR, or as Sr. Regina, on one point everyone agrees, she is an extraordinary woman as beloved and relevant today as she was when she first arrived at Ursuline many years ago. 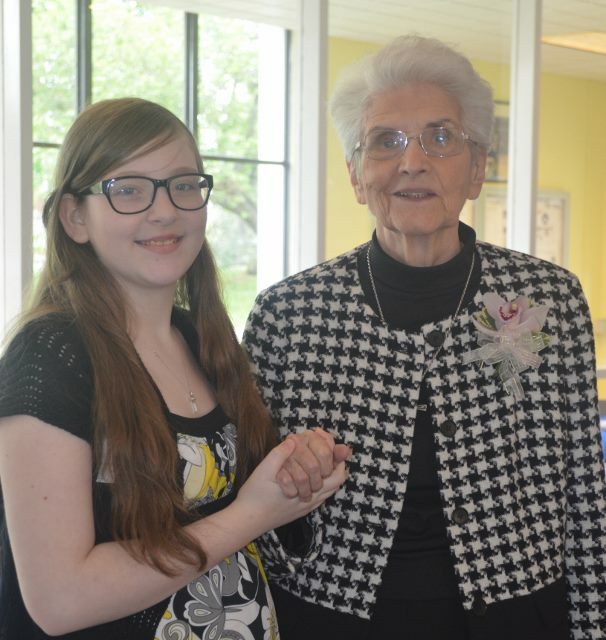 The TR Scholarship honors Sr. Regina and her lifelong commitment to the education of the young women of Ursuline. Building on the successful launch by the Class of ‘64, the Class of ’68 also led an effort to garner support from classmates. 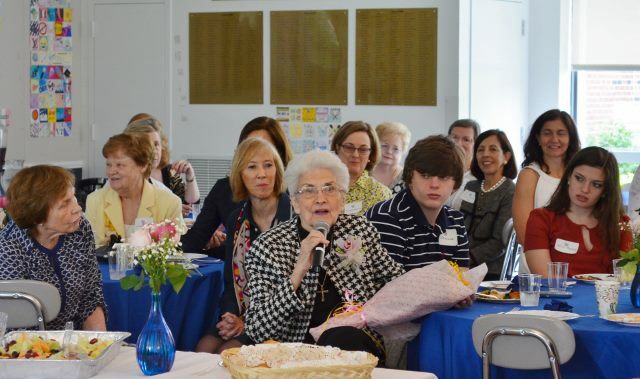 To commemorate the one-year anniversary of the TR Scholarship, Sr. Regina's family, friends, former students, and Ursuline administration gathered at a Mass and luncheon reception in her honor on Sunday, May 17, 2015. Former students from the Classes of '64, '65, and '68 shared their memories of Sr. Regina and how her guidance influenced them throughout their lives. Nancy Waters, Class of '65, said "Like my Catholic faith, Mother Thomas Regina was my lynchpin, my continuity, my true north, my very compass. She will be a part of Ursuline forever through the scholarship established in one of her many names...which I proudly support!" For the full text of the reflection on Sr. Regina, please click here. The first TR Scholarship was awarded in January 2015 to an incoming student in the Class of 2019. The scholarship recognizes hard-working students who have a strong desire to attend Ursuline. Prospective students are asked to submit an essay which is reviewed by TR herself! 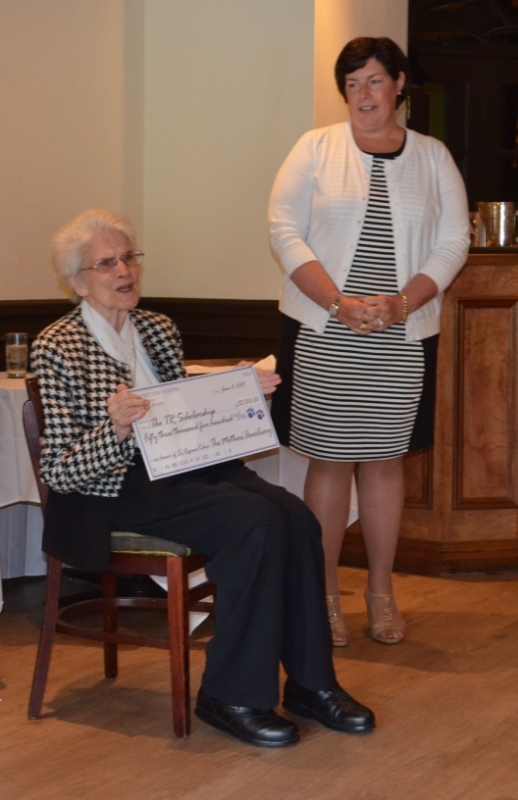 The 2014-15 Mothers' Auxiliary presented Sr. Regina with a check for the TR Scholarship of $53,000 at their June luncheon to her great delight! This wonderful gift in honor of their long-time moderator brings the scholarship endowment to $100,000, ensuring that Sr. Regina's devotion to the education of the young women of Ursuline continues for generations to come. 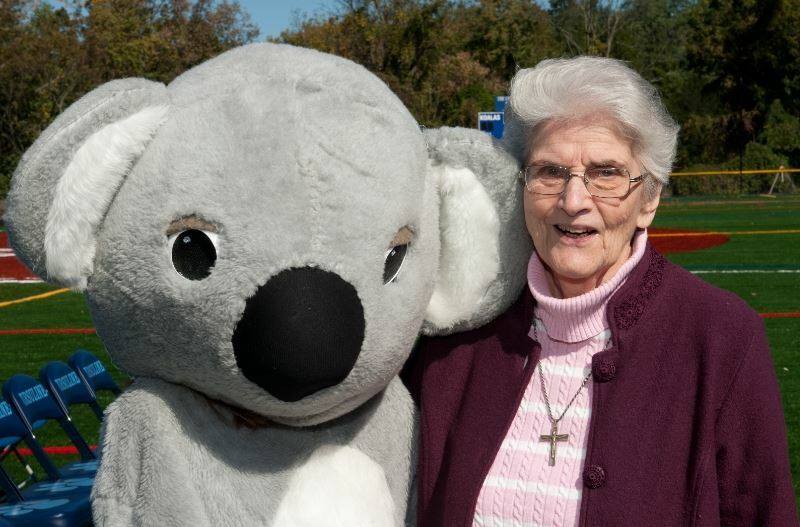 Contributions to the TR Scholarship in honor of Sr. Regina Kehoe are welcome at any time.